The Pidinger Klettersteig is a very popular and well-known, more extreme Via Ferrata leading 1300hm in total up to the summit of the Hochstaufen (1771m), a mountain with panoramique views in the Berchtesgadener Alps. It’s difficulty scales up to D and in some sections it is exposed, but almost everywhere well secured and easily to follow. HOCHSTAUFEN via Pidinger Klettersteig: This is where we’re going! The starting point for the Pidinger Via Ferrata is Urwies, a part of the municipality Piding. It’s really close to the german highway A8 and therefore easily reachable from both Munich and Salzburg. You take the exit “Bad Reichenhall” and are almost there. The car can be parked at a fee-free parking lot at the boom gate on the way to the Steiner and Maier Alm and from here it’s about a 1,5 hours forest walk to the entry point of the Ferrata. Beautiful view above the tree line! The Pidinger Klettersteig is 3-4 hours pure climbing joy! You’re almost all the time in the shade and there are two emergency exits en route which take you to the standard ascent route of the Hochstaufen (via Steiner Alm). For a detailed topographie of the Ferrata, see the Pidinger Klettersteig on bergsteigen.com. The summit cross on top of Hochstaufen is really impressive, as are the views from the summit to the Watzmann and Großvenediger and above Salzburg, the Chiemgau and Berchtesgadener Land. Right beyond the summit is the Reichenhaller Haus, a perfectly located hut for some cool drinks and snacks (Make sure to check their website for opening hours and days!) and for the not-so climbing affine folks, there are also some normal hiking trails leading up to the summit of Hochstaufen from both, the Northern and Southern side. 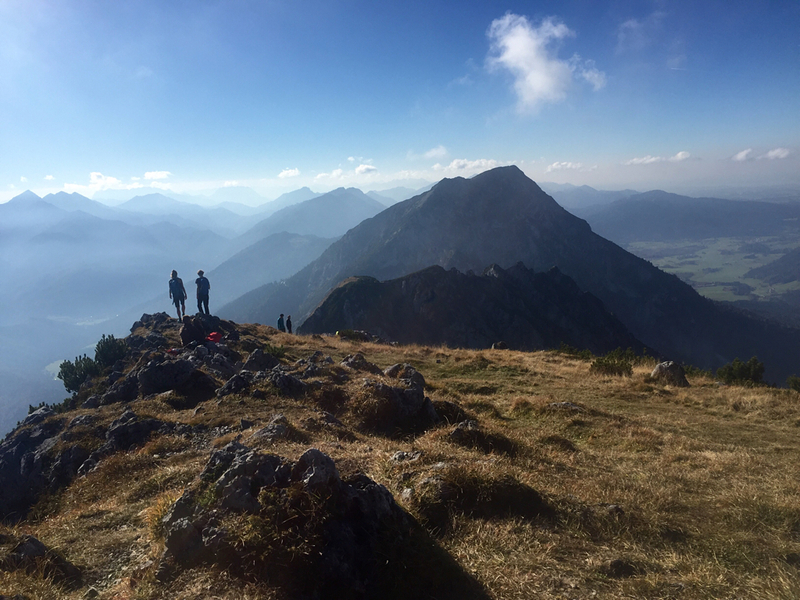 The Pidinger Klettersteig is perfect for sustained climbers and hikers who accept a long day in exchange for a great climbing experience with spectactular views. When we climbed there in late October, we were lucky and almost any other people were there, BUT regularly it’s known to be really busy, especially on the weekend..